In 10-inch skillet, heat oil over medium-high heat. Add bell pepper; cook 3 to 4 minutes, stirring frequently, until tender. Add garlic; cook 30 to 60 seconds or until fragrant. 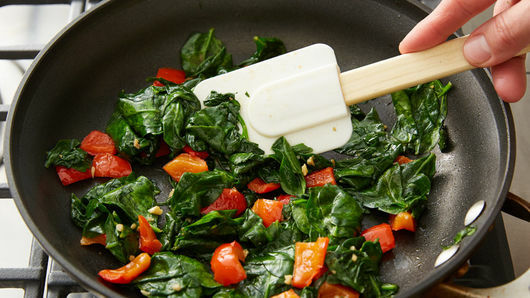 Gradually add spinach, and cook until just wilted. Remove skillet from heat. 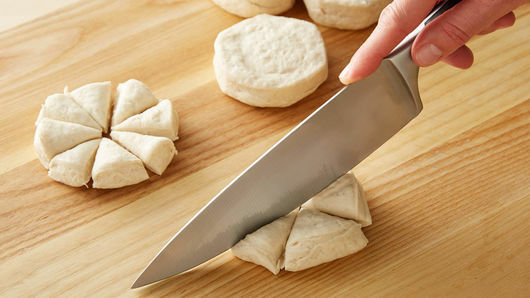 Separate dough into 5 biscuits; cut each into 8 pieces, and place evenly in dish. 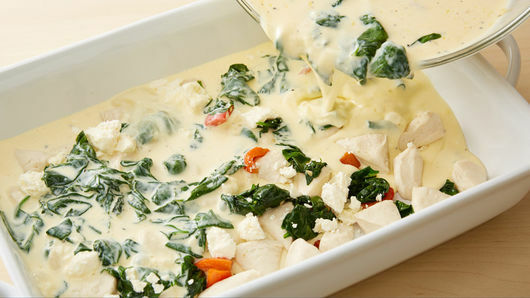 In large bowl, beat eggs, half-and-half, salt and pepper with whisk until mixed well; stir in spinach mixture and cheese. Pour over biscuits in dish. Bake 30 to 35 minutes or until knife inserted in center comes out clean and biscuits are deep golden brown. Garnish with green onions. Adding 1/4 teaspoon crushed red pepper flakes to the egg mixture before baking will add a touch of heat. 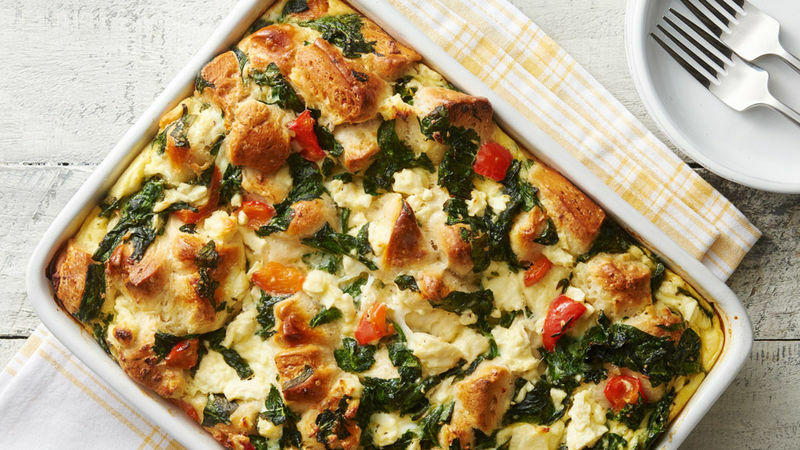 Cut-up biscuits take the place of bread in this strata-like dish. Biscuits will be deep golden brown when bubble-up bake is done.